And Here We Go! 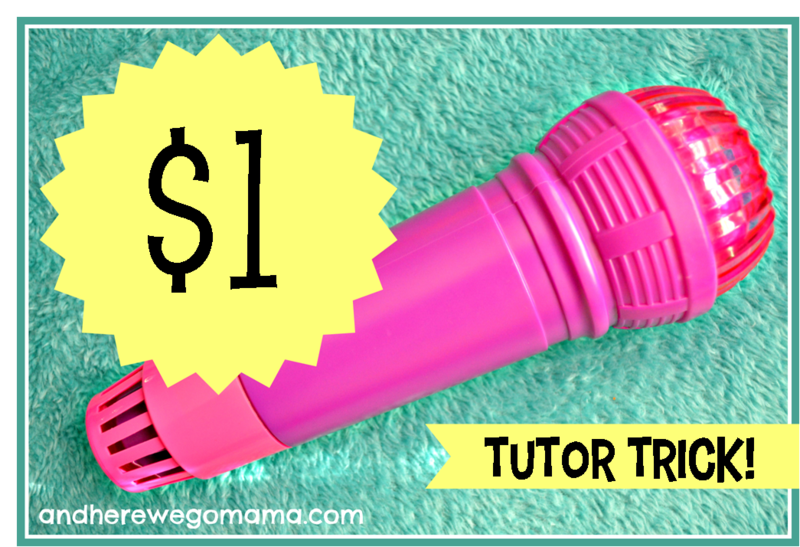 : The $1 Tutor Trick! I wish you could have seen my kindergartners' faces when I whipped this out a couple of weeks ago. They were awed, they were amazed, they wanted to say the memory work into this cheapo piece of plastic! Woot! 100% participation; I was shocked that they liked this as much as they did! "My turn!" and "I wanna do it!" were soooo great to hear! And after everyone had a turn saying the memory work, we had reached the magic number 7 and could move on to the next subject! Do you have a subject that your kids just aren't excited about? Maybe a $1 microphone will do the trick. Your turn! I'd love to hear any tutor tricks you have up your sleeves. Please leave a comment and share! Looking for more tutor resources? Join me at Tutor Talk! Oh Melody, I hope you realize that this is your gift. This is your gift from God and your way of blessing others. It is amazing to witness your talent and how it spreads your generosity, kindness and truly His example upon others. Thank you so much, Carlen, for the encouragement! You are so kind! I just hope that other people can make something out of my ramblings. :) God bless you, friend, and have a wonderful Thanksgiving! GIRL...we totally are twins separated at birth!!! 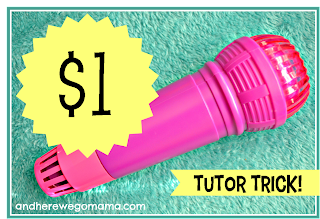 i also use a pink microphone from target (mine looks a little different, though) and have used it the past 2 years. it was a GIFT the first few weeks last year and this year with my little Abecedarians when doing their first weeks of presentations. They were SO NERVOUS until...they stood behind the pink microphone!! It made their anxiety dissipate. Made me so happy to witness. :) I love the idea of using it for new grammar, too! I had not thought of that! YAY! can't wait to use next semester. :) :) Thanks, as always, for sharing!!! I have totally used "mic's" in teaching. There's something about giving kids permission to be kids that ignite them.